In 2000, a bipartisan Congressional vote established the National Children’s Study (NCS). This birth-cohort study was intended to follow 100,000 US children from the prenatal period to age 21 in order to better understand the impacts of chemical exposures and other environmental factors on children’s health and development. Fourteen years and $1.3 billion dollars later, the National Institutes of Health (NIH) pulled the plug on NCS last December citing design flaws and feasibility challenges. 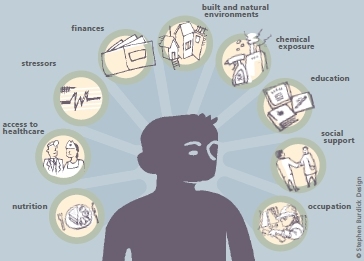 At the end of last month, however, NIH launched a major new study, Environmental Influences on Child Health Outcomes (ECHO), asserting that it will build on NCS while correcting for what didn’t work. From CBC News, this article appeared today: Synbiota biohacking kits let you do genetic engineering at home. A Canadian company is trying to make it possible for anyone to be a “biohacker” and make custom genetically modified organisms in their home kitchen. Homemade GMOs may sound scary to some, but Toronto-based Synbiota thinks making genetic engineering technology available to ordinary people will lead to new products that we haven’t yet dreamed of.